Matt Granfield is a bit of a hipster. He's got the fixed gear bike, he's got the black rimmed spectacles, he wears skinny jeans. He's even been known to read the odd paperback classic and carry a tote bag. But who wants to be a bit of a Hipster when you could be the Ultimate Hipster? The King of ALL Hipsters everywhere. And so the challenge is laid down. Matt Granfield will do whatever it takes to become the Ultimate Hipster! Follow him on his journey as ticks off his list of classic Hipster pursuits: set up a craft store at a market with jewellery made from board games and cupcakes and veggies; ride a fixed gear bicycle for a week and get busted by the police for not wearing a helmet; put an ad in the street press to start a Hipster band; knit scarves for everyone at work; start a hipster website/tumblr; get drunk with hipsters on boutique beer; drink so much fair trade coffee he gets high; try and find out why hipsters wear specs with no prescription lenses; write a pointless short existentialist hipster story/poem and attempt to get it into a serious literary publication. 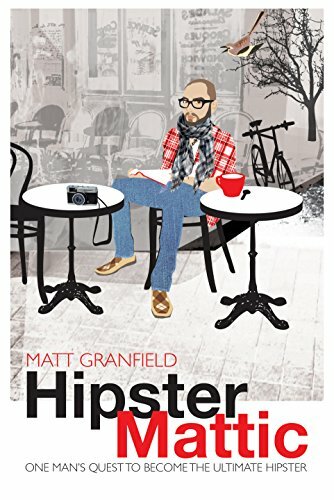 Matt's journey to becoming the Ultimate Hipster is not only funny but it also gently mocks Hipsters everywhere. A hilarious cultural commentary.